Fireplaces during the long winter months provide a function beyond the practicality of providing warmth; staring into the flickering flames offers a rare chance to reflect and think. In today’s world, we are used to filling our rooms with noise and distraction. We don’t give ourselves the chance to sit and quietly reflect: fireplaces provide the right environment to do just that. Increasingly, people are suffering from seasonal affective disorder (SAD) as the winter months last longer and longer. The dark, cold days can impact heavily on your mood as the days get shorter. Fireplaces are a great way to counteract SAD. Fireplaces make us feel cosy, comfortable and instinctively at peace. A fireplace, good friends and good food are enough to turn your home into a haven of comfort and pleasure during the long winter months. Warm and inviting fireplaces can transform a room into a welcoming retreat, to battle the worst of the winter chills. Fireplaces literally light up a room. And a comfortable armchair in front of a fireplace is the perfect way to encourage the art of doing nothing. Tom Hodgkinson is an advocate of idleness – he has written a book on the art of being idle. Fireplaces are one way of introducing reflection into your life. Reflection and inner stillness can help us sift through our thoughts and troubles, think through life’s challenges, daydream, relax and generally create a sense of calm and clarity. And if you follow Hodgkinson’s advice, the perfect way to achieve a state of idleness is to go for a walk, followed by a comfortable chair by the fireplace. Walking, Hodgkinson says, creates harmony.We walk through our troubles alone, or generate the time and space for good conversations in company. After a long walk on a winter’s day, sitting by our fireplaces with a glass of wine or hot chocolate in hand is the perfect end to a day of reflection. And by shunning the fast-paced demands of modern life, Hodgkinson believes, is a powerful act of defiance against our over-worked culture. Fireplaces give your mind space to ponder – watching the flames flicker induce reflection and thought. Whether you are pondering poetry, remembering a loved one, or just letting your thoughts drift, fireplaces can be good for the mind, body and soul. 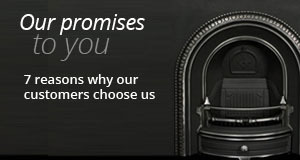 If you would like to know more about our range of fireplaces including Marble Fireplaces and Victorian Fireplaces or if you would like to know more about specific types of Fireplaces and Fire Surrounds, then please call us on 01730 897600 or email us at info@englishfireplaces.co.uk, we are very helpful and will be glad to answer your questions and offer advice. To send a copy of your shortlist via email, just enter the email address, or addresses separated by commas. Having your fireplace site surveyed as soon as you've decided to change your surround but before you confirm the purchase, is an essential part of our process. it's a free service with no obligation. Please take a minute to complete the form so we can organise you a free survey. We won't ever pass it on to anyone else. 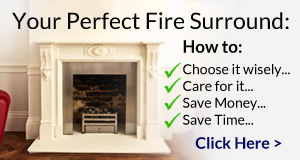 Would you like a completely free, no obligation, independent and professional site survey to ensure the fire surround you want will fit, be safe & suitable for your property? 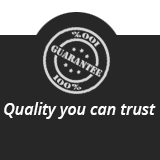 English Fireplaces offers a full range of hand carved marble, limestone and sandstone fireplaces that combines the finest quality with great value. Furthermore our team never forget that the fireplace is usually the central defining point of the room.